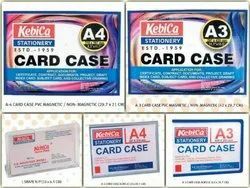 To meet various requirements in a satisfactory manner, we introduce a wide range of Card Case to our clients. - Size: 4.0" x 3.0"
We are provider of Gents Wallets. Double folded leather credit card case with nylon stitching and lining. 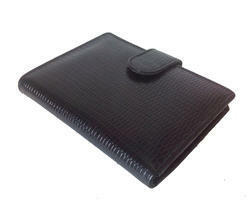 This leather card case has extra pockets for multiple credit cards or business cards, and a windowed ID pocket. Money Card Case snugly secures all your bills, money and credit cards. Just drop them inside and voilà! It organizes and keeps everything safe. Crafted from original leather with a neat finish and tessellation, featuring four exterior card-size slots. A great find at a great price. The Lambskin is smooth & soft. The ultimate for grab-and-go situations. Keep your drivers license and major credit cards in the case with your cash and your ready for those quick trips to the store or to drop off the kids. Card holder can hold 20 credit cards Sleek, slim design allows this great piece to fit in small spaces..